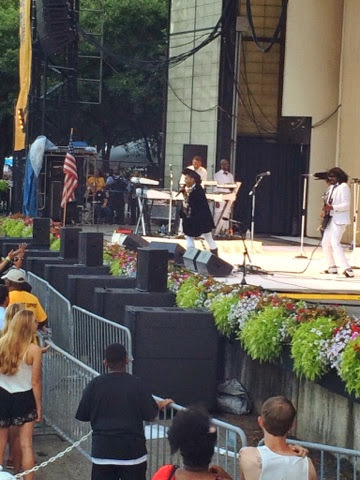 The Illinois Lottery helped me finish off my visit to The Taste on a high note with a high energy performance from the bow tied electric lady, Janelle Monae. A stunning skyline and a full crowd made this the perfect place to end my Thursday. I prepared for the sunny afternoon with an on-trend lava print halter and festival proof combat boots, but I kept a mesh and leather crop jacket tied at the waist for the cooler evening breeze. The leather mini added a splash of rock n' roll to my VIP ready look. 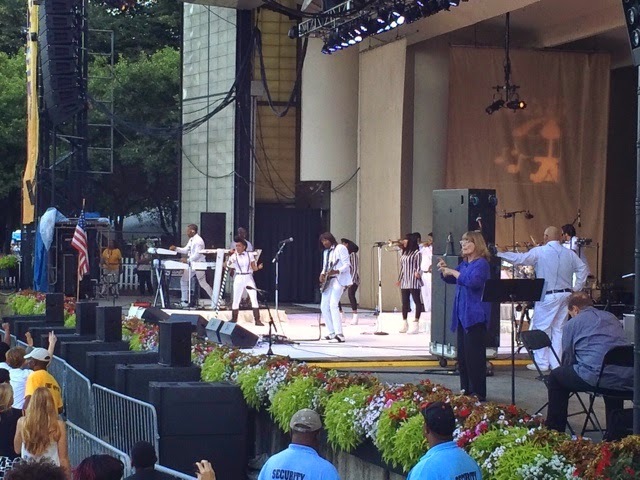 My VIP experience provided by the Illinois Lottery started out with a Summer BBQ themed buffet where I sipped on some refreshing Sparkling Water and a tasty BBQ Brisket sandwich. This "lottery ticket" cookie was almost too cute to eat, but don't worry I managed to devour the whole sweet thing. 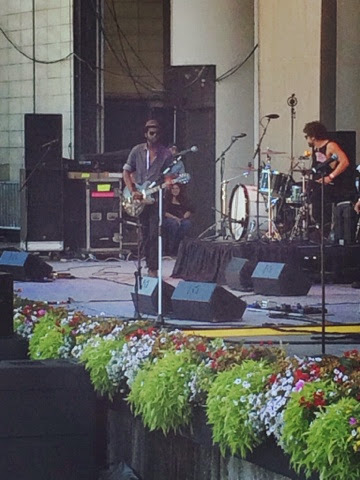 The concert started with a funky jazzy blues set by Gary Clark Jr. 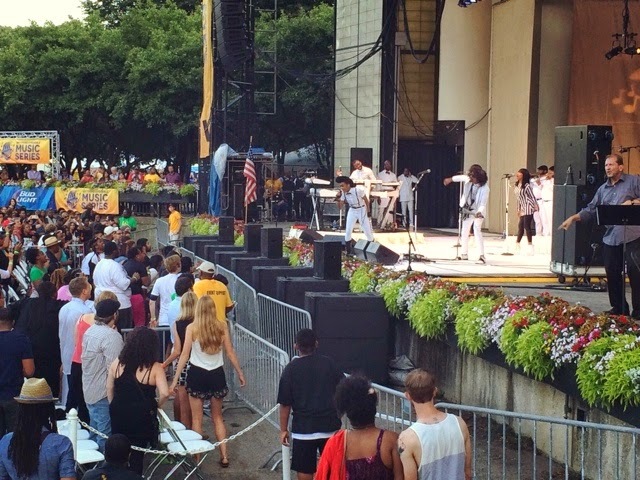 I loved the energy from the packed crowd and the guitar riffs were insane! 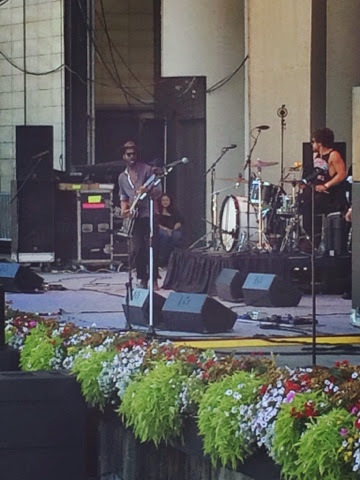 It felt like I was in the middle of Blues fest with my own private viewing section! 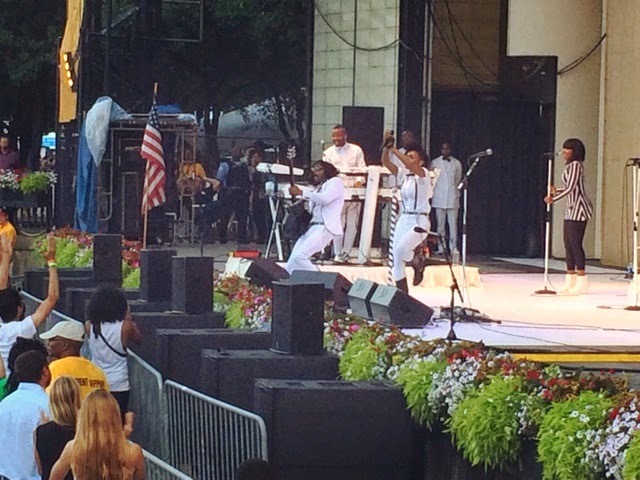 It was the perfect way to get the crowd going in anticipation of Janelle Monae. 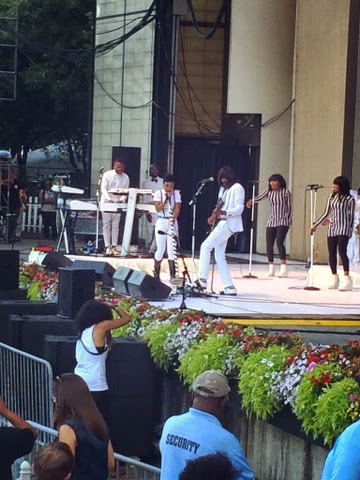 From her signature bow tie to her fancy footwork you can't help but be drawn into Janelle Monae's world. 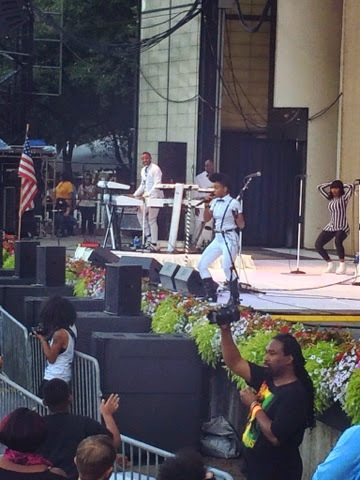 You can hear her passion in every song and the entire crowd was dancing along underneath the Chicago skyline. I also love how she incorporated her band into every song and made it a theatrical performance, rather than just singing a song. The monochrome details made for a major impact and kept all eyes on all of the talent on stage. 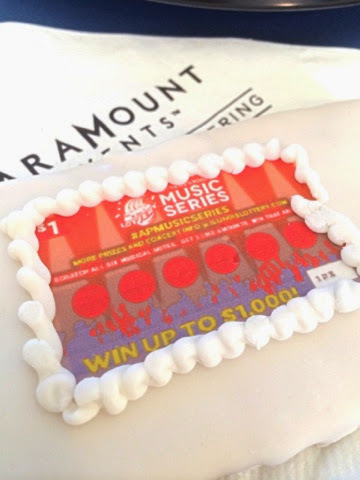 Finally I want to say thank you to the Illinois Lottery for giving me the opportunity to blog, tweet and Instagram my #APMusicSeries experience! I can't wait for the next concert!